President of Sri Lanka H.E. 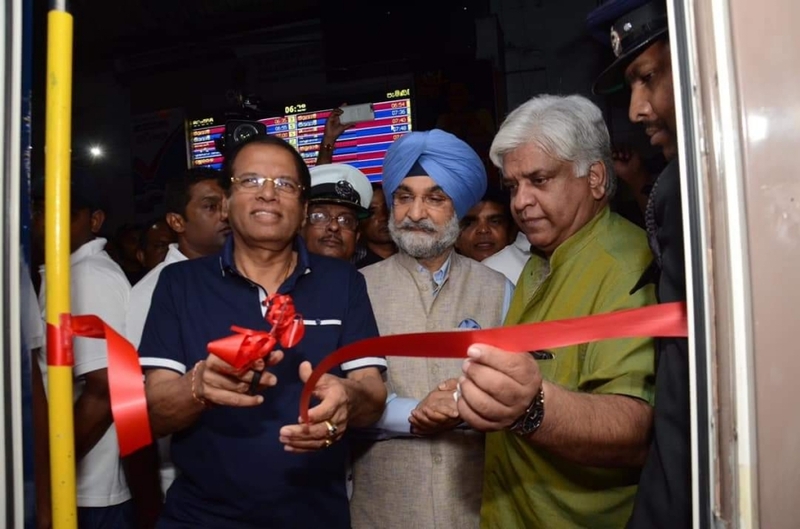 Maithripala Sirisena flagged off a new train, supplied by India, on 27 January, 2019. Minister of Transport and Civil Aviation of Sri Lanka Hon. Arjuna Ranatunga and High Commissioner of India to Sri Lanka H.E. Taranjit Singh Sandhu were also present. The train (self-propelled Diesel Multiple Unit-DMU) was procured under Indian concessional financing by Sri Lanka Railways. The maiden journey of the train was from Fort Station in Colombo to Kankesanthurai Station in Jaffna. The ceremony was also attended by Secretary, Ministry of Transport and Civil Aviation, Mr. L.P. Jayampathy, Commander of the Army Lt. General Mahesh Senanayake, General Manager, Sri Lanka Railways, Mr. M.J. D. Fernando, Chairman and Managing Director of M/s RITES Ltd., Mr. Rajeev Mehrotra. H.E. the President and High Commissioner travelled on board the train for sometime, while Hon. Minister continued till Jaffna. DMU manufactured by M/s RITES Ltd. is a thirteen-coach train set. The train set has best-in-class passenger amenities with fully rotating seats in the Air-Conditioned Chair Cars, on-board Infotainment system, GPS-based passenger information system and modular interiors. It can travel at a maximum speed of 120 kmph. It will offer both comfort and speed to passengers, as a next level of the travel experience. The contract agreement for supply of 6 DMUs and 10 locomotives to the Sri Lanka Railways was signed between M/s RITES Ltd., India and Sri Lanka Railways in March 2017. The total contract is worth around US$ 100 million and is financed under Indian concessional financing. The first set of DMU arrived in Sri Lanka in December 2018 ahead of schedule and is now being commissioned into Sri Lanka Railways after completion of trial runs. The supply of rest of DMUs and locomotives will be complete during the course of this year. In addition, 50 wagons are also being supplied to Sri Lanka railways under Indian concessional financing which will also be delivered this year. 500 buses will also be supplied to Sri Lanka under Indian concessional financing. In June 2017, India signed a fresh Line of Credit Agreement for US $ 318 million for the development of railway sector in Sri Lanka. Under this Line of Credit, various projects are underway including procurement of 160 passenger coaches; upgradation of railway track from Maho-Omanthai; upgradation of signal & telecommunication system from Maho to Anuradhapura; and setting up of a Railway Workshop in Rathmalana etc. India has so far committed Lines of Credit worth around US$ 1.3 billion for development of railway sector in Sri Lanka. The restoration of arterial railway lines, connecting the North and the South after decades of conflict, was undertaken under Indian concessional financing. The tsunami-affected Southern Railway line was also upgraded under Indian Line of Credit. India has also supplied rolling stock to Sri Lanka and contributed to capacity building of Sri Lankan railway personnel. 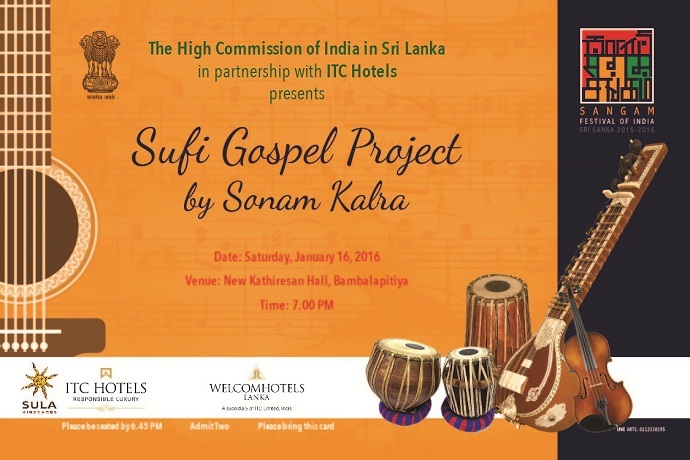 India remains ready to assist Sri Lanka to meet its developmental aspirations as per Sri Lanka’s own requirements.